specific needs of a particular individual. Custom foot orthotics are created using an impression of the foot called a cast, which duplicates any misalignments in foot structure. Using the cast and computer technology, technicians in an orthotic laboratory design a device that balances out deformities and corrects misalignments. 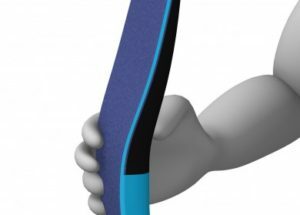 The finished orthotic is placed in the patient’s shoe to support the foot and eliminate abnormal foot biomechanics by keeping the foot properly aligned. 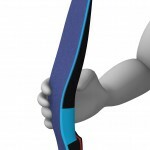 Depending on the patient’s needs, the orthotic may have padding to cushion the foot and make it more comfortable. See video below on how easy it is to make a mold for custom foot orthotics. This procedure is still the most accurate way to make orthotics. 1) The orthotics you will receive are not the same as the ones sold over the counter. They will be constructed in a lab from models of your feet, following directions from the doctor to specifically fit you and treat your problem. The doctor will use this form to properly evaluate the biomechanics of your feet. 2) When they are placed into your shoes, your orthotics will help to control the way your feet work when you are walking, running, or just standing. This control helps reduce the discomfort you have been feeling due to muscle strain, joint strain, and/or pressure points caused by improper foot movement. 4) Your symptoms won’t disappear as soon as you begin to use your orthotics. Your foot problems may have been developing for many weeks, months, or even years! It takes time to get used to wearing orthotics, and it takes time for your feet to respond. 5) Custom foot orthotics are a conservative alternative to surgery, but not for all foot disorders. In some cases, they can delay the need for surgery. Sometimes they are used after surgery to further correct foot function. INFORMATION ABOUT PAYMENT The cost of custom molded orthotic devices from Arch City Foot and Ankle is $350. This fee includes casting and dispensing of the orthotics. There is a 5 year warranty for coverage on the shell of the orthotic. The top cover of the orthotics are not covered under warranty and sometimes may need to be replaced for a minimal charge. For most insurances, we will ask you to pay half of the cost of your orthotics on the day of your casting, and the balance on the day you take them home. If your insurance also pays, we will issue a refund for the amount due to you. Insurance coverage for the orthotics varies. Your insurance company can let you know if orthotics may be a covered benefit. (The insurance company may say orthotics are medically necessary, but that does not guarantee payment.) A letter from your insurance company, notifying you that it has paid for your orthotics, will usually arrive at least a week before we receive the payment. Once the insurance check is received, it must be processed by the billing service. They will deduct any outstanding balances and/or coinsurance you owe for the orthotics. We will then receive the refund paperwork. The doctor reviews the refunds, the checks are written, the doctor signs the checks, the billing service is notified, and then the checks are mailed. All of this narrative is to let you know that your refund check cannot be in your mailbox on the same day that your insurance notice arrives. Many people are involved and it takes time to get through all of the steps! You should allow at least two to three weeks from the time you receive your notice. We will do our best to be efficient, and we deeply appreciate your patience. Thank you!